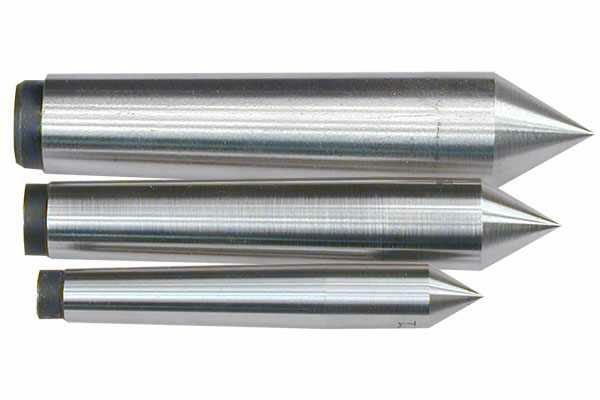 Morse Taper dead centres - hardened and ground. Generally used in the tailstock for extra support when turning longer work or in the headstock and tailstock when turning between centres. A little oil should be used to lubricate the contact between the centre and the workpiece to prevent friction welding.